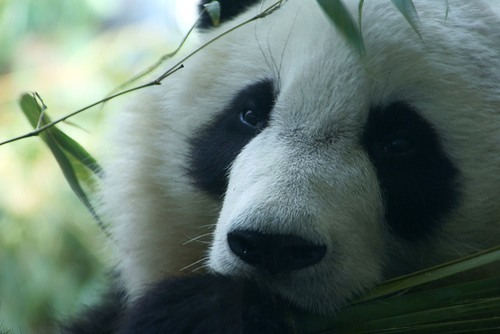 I thought the risk of coffee extinction was bad enough, but now scientists are predicting climate change is set to wipe out bamboo, which means the panda habitat in China could be gone by the end of the century. NO MORE PANDAS! Not only are rising temperatures negatively affecting the habitat, but human development is also a big contributor. Lead researcher Mao-Ning Tuanmu of Yale University says proactive actions will need to be taken to protect the current panda habitats. The research focused on the Quinling Mountains in Shaanxi province, which houses about 275 wild pandas. These pandas make up about 17% of the world’s wild giant panda population. They have been isolated for thousands of years as a result of human habitation in the area, which makes them exceptionally vulnerable to the loss of food resources. Bamboo currently blankets the areas in which they live, providing their food as well as shelter for other animals. Unfortunately, the reproductive cycle of bamboo makes it difficult for the plant to adapt to climate change. One species only flowers and reproduces every 30-35 years, and the assessments done by Tuanmu’s team are showing that bamboo will severely decline by the turn of the century. Conservation ideas are in the works, and there is talk of a natural bridge going up to help pandas relocate to areas with more bamboo. Working on this now will help pandas adjust and find food in the event bamboo becomes dangerously scarce.